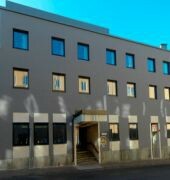 The BEST WESTERN Princess Hotel is located on a calm street in the very city centre of Norrkoping, near the shopping galleries, movie theatre, and many restaurants and pubs. The famous Concert and Congress Hall "Louis De Geer" is also nearby. We have a very pleasant lobby and bar where we serve lighter food dishes and all kinds of drinks and where we invite our guests for free coffee and biscuits. 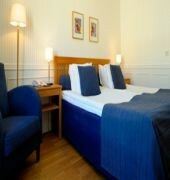 We also offer a sauna, which all guests can use at no charge.